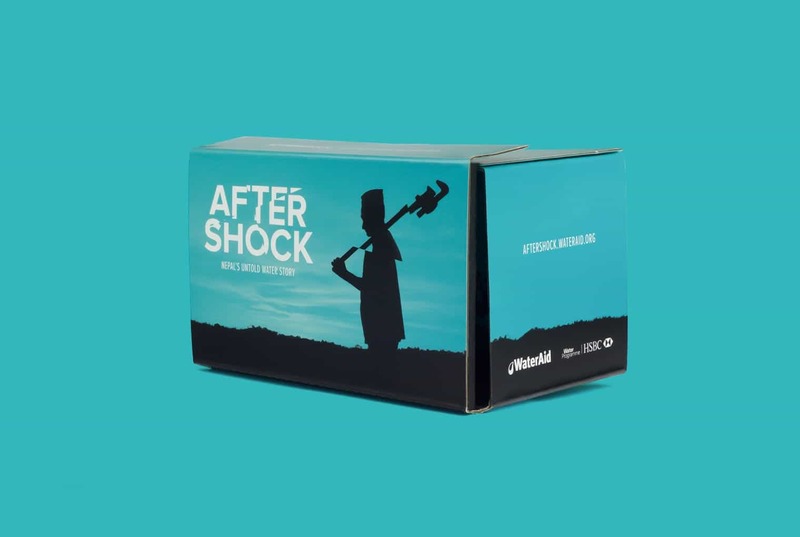 «WaterAid» is an international organisation whose mission is to transform the lives of the poorest and most marginalised people by improving access to safe water, sanitation and hygiene. 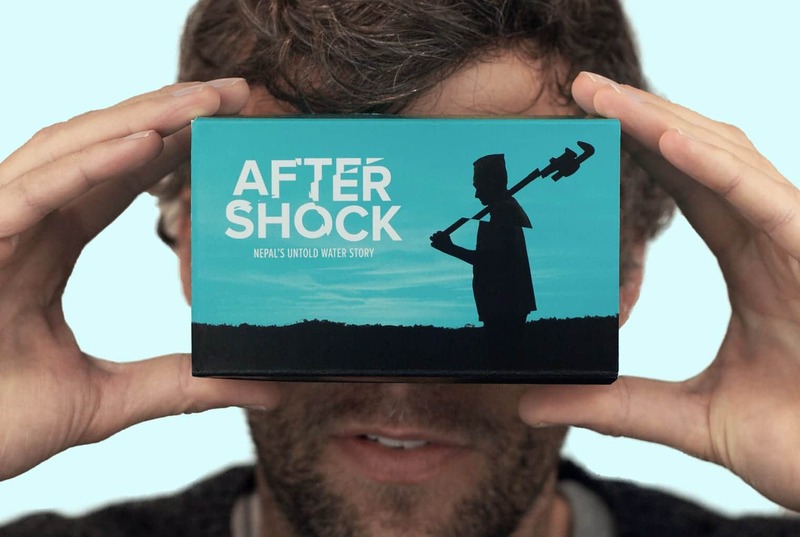 Their latest project, a virtual reality documentary, tells the story of plumber Krishna Sunuwar, as he works with his neighbours in Kharelthok, Kavre district, to repair a water system which was damaged in the devastating earthquakes in 2015. 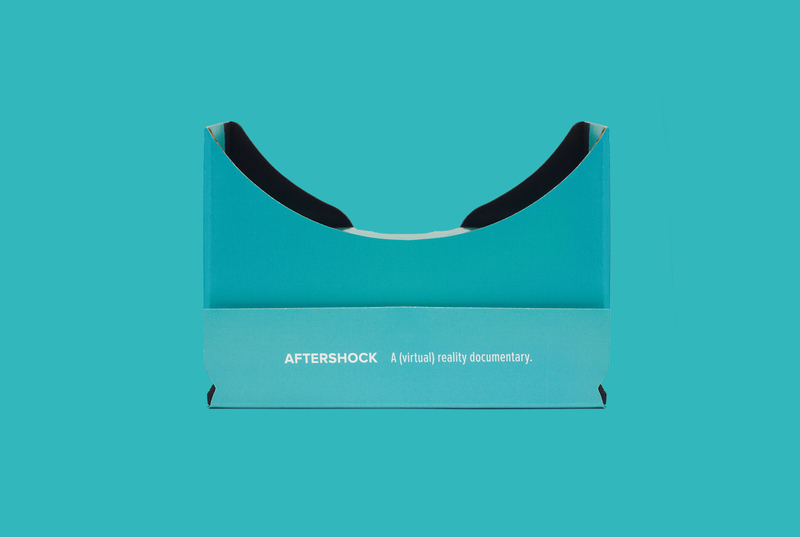 The film aims to bring a positive story of community action against a backdrop of widespread destruction and slow progress. 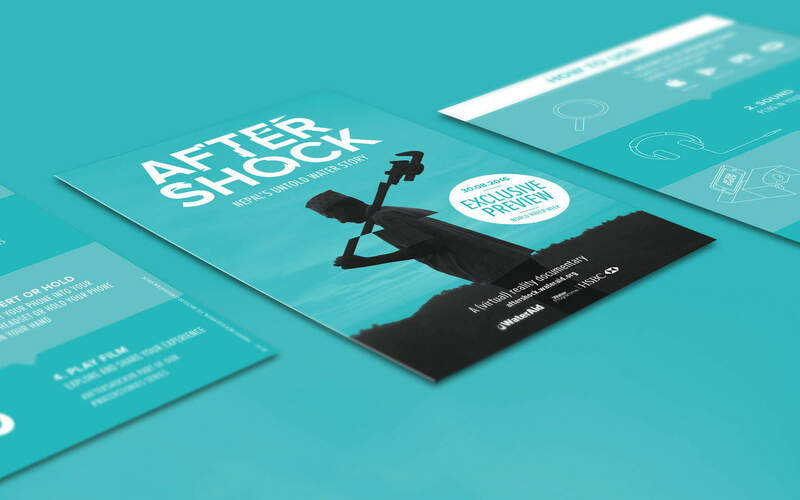 It aims to meaningfully contribute to the national and international conversation and WaterAid’s advocacy work around long-term recovery work in Nepal. 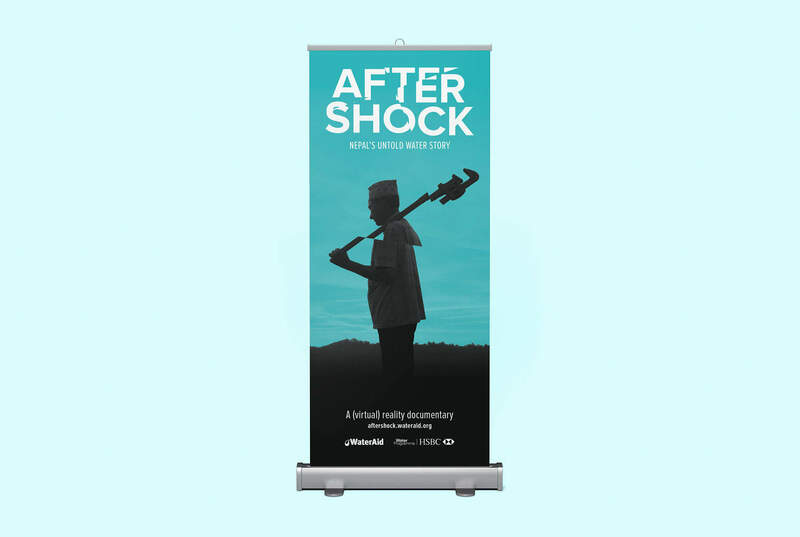 We were contacted by Assemble.me and WaterAid.org to help them tell their story and create the look and feel for the movie posters, postcards, pull-up banners, the stand for the WaterWeek exhibition and various online graphics for Youtube and Facebook. 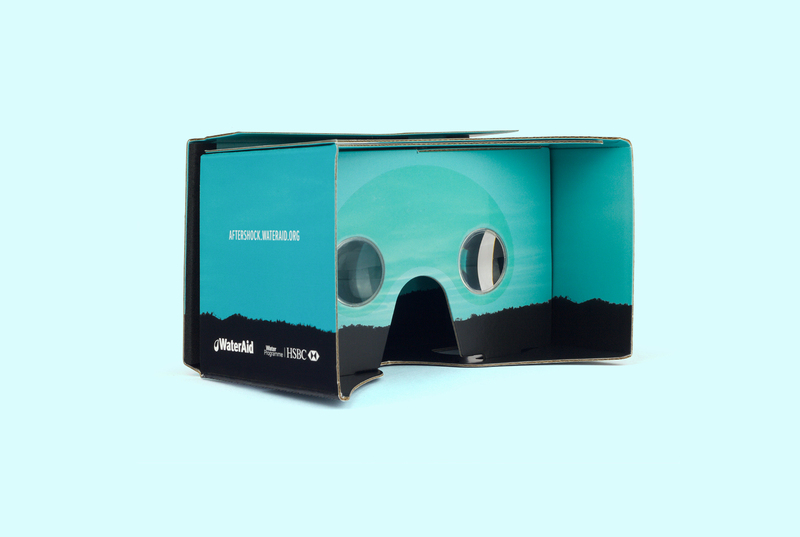 And most importantly the Google Cardboard and the movie title design. 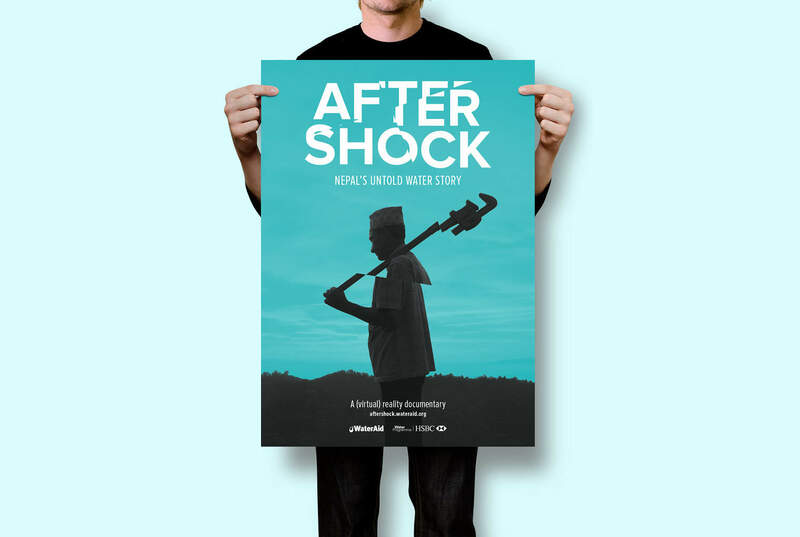 To watch the movie head over to aftershock.wateraid.org!